Slots, how we love thee? Let us count the ways – from your first versions and until today; and if Luck chooses, we shall love you more online and on our mobiles than before. With the slots evolution to what they have become today – convenient and compact-sized gaming experiences that can travel with us anywhere – all kinds of components have changed that were once considered typical or essential to slots. Paylines and their numbers, coins, symbols, fixed betting amounts per spin, even the need to go to a casino or deposit money online in order to play. The only thing that hasn’t changed much is that breathtaking opportunity to win big while betting only a little – and people searching for tips on how to increase chances of winning at slots. We can pull out quite a few funny slot machine strategy examples from these very distant times when slots looked like big metal boxes. When slot machines involved physical spinning of the reels and pulling the lever, as well as inserting coins by hand, there were curious and almost intimate physical nuances to the common slot strategy of the time. People would hug and rub the machines, whisper and listen to them, rub or cool the coins. To sum this up, it seemed to players that something in the way they performed the standard physical actions required to play a slot machine could influence the outcome on the reels. With the appearance of electronic slot machines that only created an illusion of reels spinning, there was less magic left behind the moment when the reels stop to display a certain combination of symbols. Such slot machines were controlled by random number generators, but players have often misunderstood how these work, believing that they could be programmed to pay out less or more, or that “hot” and “cold” cycles always followed each other interchangeably. Back then, the casino tips for slots players were mostly rounded up to making the right choice between “tight” and “loose” machines, and looking for the ones that were “hot” or just about to become “hot”. According to that theory, the machines that haven’t paid any decent wins for a long period of time, were “due” soon (just about to become big win slots). It has proved to be a disappointing strategy for many, but still, it felt nice to believe that there was something you could do to influence your chances of winning – even if that “something” was just running around and switching different machines often, or feeding coins into the same one for hours with hardly any win in between. There’s more variety to slot games now than ever, so it’s very handy to have an online gambling guide that provides you with casino and game reviews, with up-to-date information about different gambling online options, the latest releases and the coolest features, the biggest bonuses and welcome packages. The Slots Online Free gaming portal is a place to find unique tips and recommendations, as once any attention-worthy online slot appears, we check it and show you its best features, not just take information from other resources. 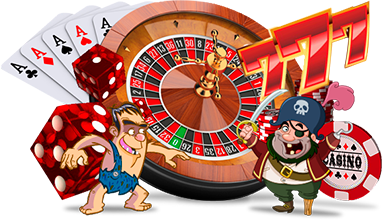 All about slots, their playing and winning tips, updated on a regular basis, together with an awesome option to try the most popular games for free – including bonus slots that are typically not available to play for free. We can honestly say that having such a resource at your fingertips is the best gambling strategy of today – and you don’t have to download anything or to register in order to enjoy testing all kinds of casino games before you decide to play any for real money. There is no “one fits all” winning strategy for slots – if you happen to be looking for it – because the modern slot games may be significantly different from the classics or retro-themed ones, and from each other as well. However, there is one win-win casino recommendation that can be applied to all the variety of gambling options: Know Your Game and Set Your Budget. This is a #1 tip given by all professionals and experienced players whenever they are asked for their special “secrets” and tips. As you see, there’s nothing revolutionary or secret about it, but this is an essential strategy that yields results, unlike some slight differences in how to play slot machines. This strategy determines whether you will ever be able to walk away with a win, not with a hole in your pocket. That’s why trying the game in the demo mode is an indispensible feature for any websites giving you slot tips or how-to’s regarding any other casino games. Knowing your game well is essential for setting a realistic budget and – most important – sticking to it. Apart from a certain percentage of people who have actually never tried playing slots before, or only know how to play slot machines in land-based casinos, most online casino customers know the basics of online slots and their variety. They have no illusions as to wearing a “lucky shirt” or playing on a certain “lucky day” of the week bringing them tangible results at slots or other casino games. However, it is easier to control your budget when actually handling coins and bills than when using virtual money and payment methods. Your gaming experience shouldn’t rob you of other ways to enjoy life, which had happened to some players at all times when they went way over their budget or didn’t ever set one to begin with. Don’t repeat their mistakes and don’t fall into the old trap of believing there is a distinct “hot” and “cold” tendency to your wins. The results are random, and that’s the true beauty of the game. Make sure you are comfortable playing a certain game before you opt for real money play. Slots Online Free gaming portal is the best resource to help you with that, useful for new players and for experts as well.